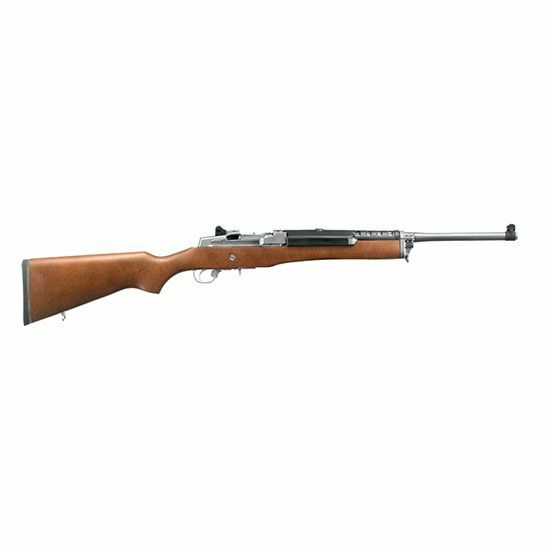 • Simple, rugged, Garand-style action with breechbolt locking system, a fixed-piston gas system and self-cleaning moving gas cylinder gives unparalleled reliability under harsh operating conditions. • Patented integral scope mounts, machined directly on the solid steel receiver, provide a stable mounting surface for scope rings, eliminating a potential source of looseness and inaccuracy in the field (scope rings included). • Accurate sighting system with ghost ring adjustable rear aperture sight and a non-glare, protected blade front sight. • Receiver is drilled and tapped for mounting the included Picatinny rail. • Also includes: two magazines; Picatinny rail; scope rings.